Las Vegas, NV - Patriot Gold Corp. (PGOL:OTC), a gold resource and exploration company, today announced results from the first four diamond drill holes as part of its Phase 2 infill drill and resource expansion program. Phase 1 and 2 drilling is being conducted by Patriot Gold's project partner, Northern Vertex (TSX.V:NEE), a Canadian-based gold exploration and development company. To date, the company has completed a total of 22 holes of its current Phase 2 expansion program. In February, the company reported strong results from the 18 reverse circulation holes completed during the first part of Phase 2. "We are very pleased with results from the first 4 core holes from our Phase 2 program at Moss," said Dr. Bob Thompson, Chief Geologist of Northern Vertex. 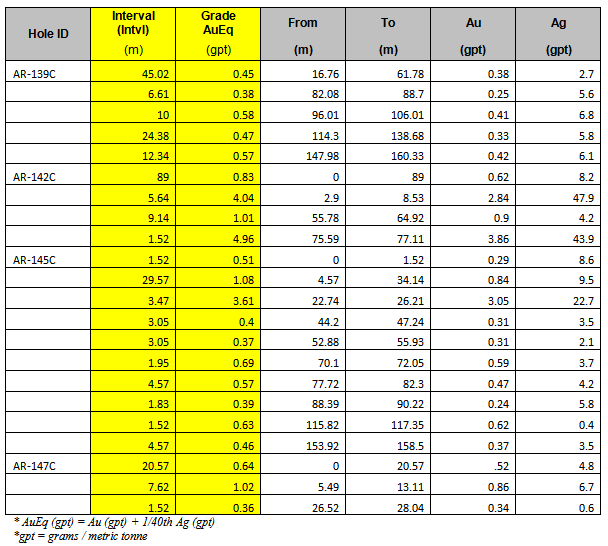 "Significantly, the positive gold-silver grades and intervals encountered in all 4 holes average substantially above internal cut-off grades, in an area where little or no stripping is required. These factors indicate potential to add significant tonnage to Moss's already established NI 43-101 gold-silver resource. Moreover, we are equally encouraged to report results demonstrate the gold and silver-bearing system is widening to the West." 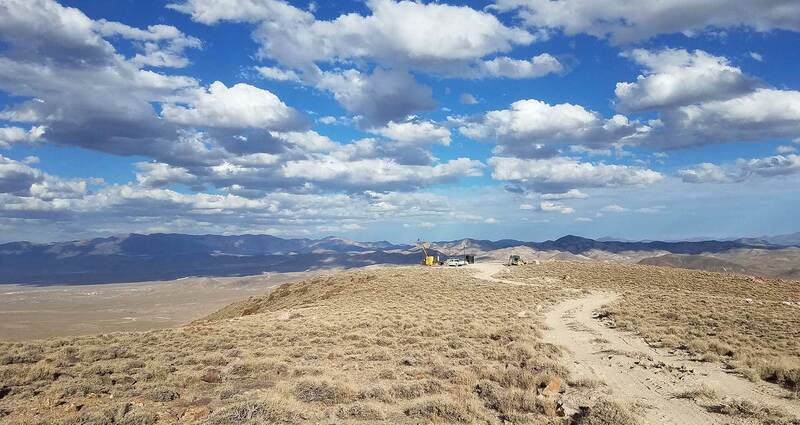 "Combined with the results we reported in February, the results from our first four diamond drill holes serve to further enhance our belief that the Moss project site will become a substantial, near-term gold-silver producer," said Bob Coale, CEO of Patriot Gold. "We are very pleased with the work done by our partner, Northern Vertex, and look forward to continued progress as we continue to execute on Phase 2 of our Moss program." The Moss Mine Project is situated in the historic Oatman Mining district in northwestern Arizona. Since announcing the joint venture project with Northern Vertex in March 2011, the project has completed 81 drill holes through reverse circulation, diamond drill and coring techniques. The Moss deposit is a low-sulfidation epithermal stockwork deposit with a strike length in excess of one mile.